In a world with the Avengers, it seems that the collateral damage they cause has finally caught up with them when the world governments believe that enough is enough and the heroes are no longer allowed to operate without oversight. However not everyone in the team agrees and they decide to make a stand against it. This is the initial premise of Captain America: Civil War – the latest Marvel film telling the adventures of the big blue boy scout that is Steve Rogers aka Captain America. With some story comparisons being made between it and the earlier released Batman vs Superman: Dawn of Justice, it’s comforting to know that directors Joe and Anthony Russo have once again showed how superhero movies are made and probably sent DC back to the drawing board in the process. As mentioned in the beginning, the world governments have come down hard on the Avengers and have created the Sokovia Accords (named after the city previously trashed in Age of Ultron) as a means to keep them under control. However opinions within the team are split with Captain America (played by Chris Evans) strongly believing that they must be able to make their choices and accept accountability whereas Tony Stark/Iron Man (Robert Downey Jr) sides with the government believing that after so mistakes have been made, many his own, perhaps it should be left to others to decide for them. Captain America (Chris Evans) continues to stick up for what he believes is right. The matter becomes worse when the Winter Soldier/Bucky Barnes (Sebastian Stan) is held responsible for a terrorist attack and Captain America is forced to go against his new allies in a bid to save his friend. Having Cap and Iron Man square off here is about as big as it gets without it being another Avengers movie and it’s great seeing both actors in the ensemble handle it so well too. Everyone else involved have their own moments of making similar choices and it’s great seeing no one misses the opportunity. After having so many movies where the problems are on a global scale, it is worthwhile change to have the film be a little more personal this time. What I really like about the film is that it follows on from the Russo’s Winter Soldier in that it feels more like a genre film with superheroes rather than the other way around. The previous was an all out spy thriller whereas this one seems more like a political thriller that becomes personal. In all honesty it’s a shame Batman vs Superman was released before this, inviting unfair comparisons because this is so much better than that. Villain of the week this time goes to Helmut Zemo, played by Daniel Bruhl. Though a very different character to the one from Marvel’s own comics, his agenda against the Avengers continues a common theme in the film of making matters personal. And though he may be largely forgettable he does become a means to the end in telling the tale. 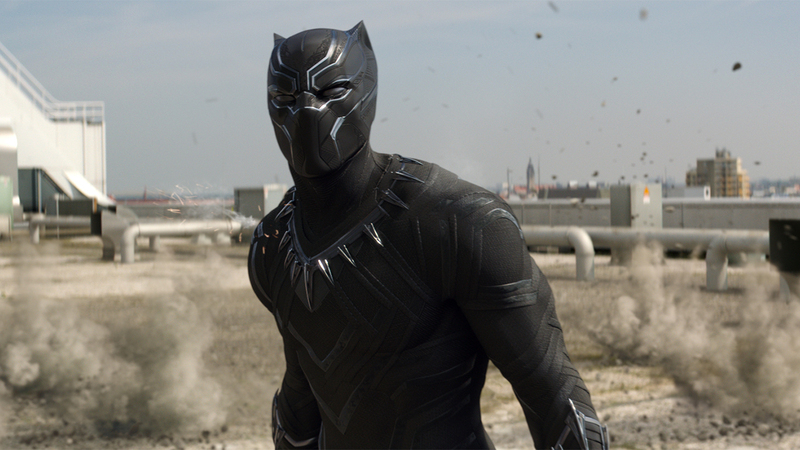 A lot of praise has to go towards it’s introduction of both Spiderman and Black Panther to the MCU. Spiderman’s story has already been told enough times recently to not be revisited and that is certainly recognised here. What we get instead is a great interlude with Tony Stark giving Peter Parker a bit of help in achieving his goals, ultimately in exchange for his help. The best part is it changes nothing about the character at all and leaves him a clean slate for the future. Black Panther (Chadwick Boseman) certainly holds his own against the established characters in the film. Then we have Black Panther who has a fairly substantial character arc in the movie that not only does a great job of defining who he is but also the kind of hero he will be in the future MCU. Plus he is awesome to see in action. I’m not too familiar with the character so his introduction here fills in enough blanks making exactly the kind of tease you need for his own upcoming movie. I’ll be there for sure. With plenty of great moments throughout the movie (certainly a big one in there too) and a massive cast of characters from across Marvel’s movies, this is approaching Avengers levels of spectacle. But this time there is a surprising reduction in the overall carnage caused (apart from the awesome opening) caused as the battles here have become internalised as the heroes face off against each other. In the end though, the film brings things back down to essentially friendships and especially how Captain America deals with the complexities of them in his own way. He walks way from the experience still firm in his beliefs, Tony Stark is now a little more humbled and the Avengers have reached a point where things may never be the same. It’s interesting to see how the Captain America films have essentially become the glue holding the MCU together and laying the foundations for the next phase in the stories being told. The first began the march towards The Avengers, the second brought down S.H.I.E.L.D., changing both the subsequent films and the TV series and this last one ushered in the arrival of important characters at the same time the Avengers are splintering. 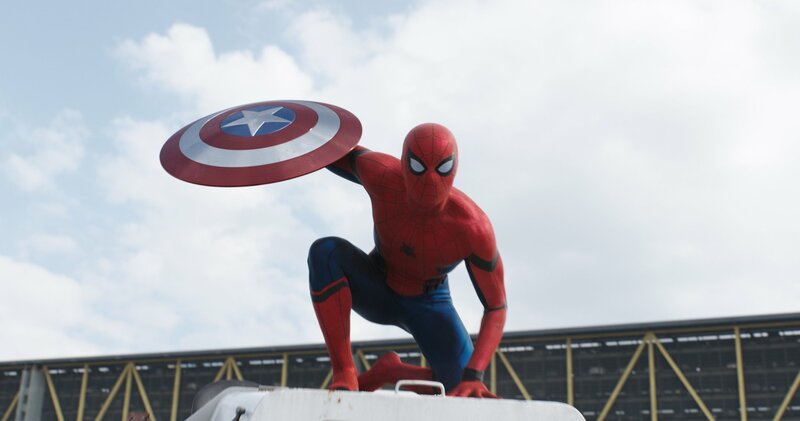 Spiderman (Tom Holland) had his own little part to play in the film and a lot of it was to also bring him back to the MCU fold. How all this translates to the upcoming Infinity War films is anyone’s guess but I’m sure plenty of people will be queuing up to find out. Plenty will also be hoping this isn’t the last Captain America film either because this series continues to be the best of the bunch. Great review mate. I really enjoyed this movie too and agree with your comments.